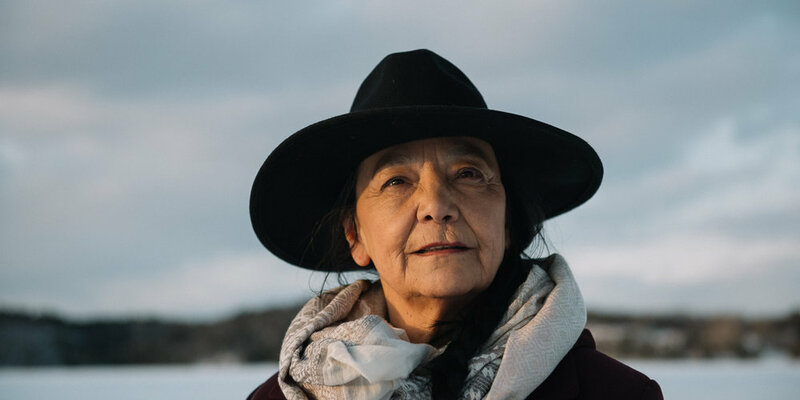 imagineNATIVE Film + Media Arts Festival is happy to announce our Air Canada Audience Choice Award, with a $1,000 cash prize presented by Air Canada, has been awarded to Falls Around Her by Darlene Naponse. Full announcement here. On Sunday, October 21, 2018 at imagineNATIVE’s Awards Presentation at the TIFF Bell Lightbox, the esteemed Sun Jury and Moon Jury considered film, video, audio, and digital media works from Canadian and international Indigenous artists to select winners in over a dozen categories with over $30,000 in cash prizes and in-kind services. Full announcement here. imagineNATIVE 2018 Highlights and Must-sees! The 19th Annual imagineNATIVE Film + Media Arts Festival returns October 17 - 21, 2018 in Toronto to present an incredible selection of film, video, audio, and digital & interactive media made by Indigenous screen content creators. Full announcement here. imagineNATIVE Film + Media Arts Festival is proud to announce that Nêhiyaw actor, choreographer, director and educator Michael Greyeyes will receive the 2018 August Schellenberg Award of Excellence. The August Schellenberg Award of Excellence (the “Augie”) is an annual prize that recognizes significant professional and personal achievement by an Indigenous actor, of any gender, from Turtle Island (North America). Michael Greyeyes will receive his award at the imagineNATIVE Film + Media Arts Festival’s Awards Presentation on Sunday, October 21 at the TIFF Bell Lightbox. Full announcement here. The 19th Annual imagineNATIVE Film + Media Arts Festival is pleased to announce that all screenings on Friday, October 19 for FREE thanks to the generous support of TD Bank Group. For the first time the TD Bank Group Free Friday Initiative welcomes everyone to enjoy a day of world-class Indigenous films and digital media. With over 40 titles screening in nine different programmes, there is something for everyone. Full announcement here. The imagineNATIVE Film + Media Arts Festival is happy to announce programming for iNstitute Industry Days, October 16 - 20, 2018 at the TIFF Bell Lightbox. This new, expanded five-day conference of FREE panels and workshops is the world’s only dedicated market for Indigenous screen content. These professional development activities bring together industry leaders from around the world in discourse and discussion relevant to Indigenous media creators. Full announcement here. The 19th Annual imagineNATIVE Film + Media Arts Festival today announced the full programming for the Festival, running October 17-21, 2018 in Toronto, Canada. imagineNATIVE will present 153 individual media artworks, including 10 dramatic feature length films - the most in imagineNATIVE history. This year’s Festival features work by 156 Indigenous artists representing 109 Indigenous nations from Canada and around the world; 55% of the works have female directors with 42% male and 3% non-binary or Two-Spirit. Full announcement here. The imagineNATIVE Film + Media Arts Festival, October 17 – 21, 2018, is proud to announce this year’s visual arts programming including seven exhibitions, installations and the annual Art Crawl. Full announcement on all visual arts programming is available here. The 19th Annual imagineNATIVE Film + Media Arts Festival is proud to announce two Canadian features as the Opening and Closing Night Galas for the Festival, running October 17-21, 2018 in Toronto. imagineNATIVE's Opening Night Gala on Wednesday, October 17 will be Darlene Naponse’s Falls Around Her at the Hot Docs Ted Rogers Cinema. On Sunday, October 21, the Closing Night Gala will be Sgaawaay K’uuna (Edge of the Knife) at the TIFF Bell Lightbox. 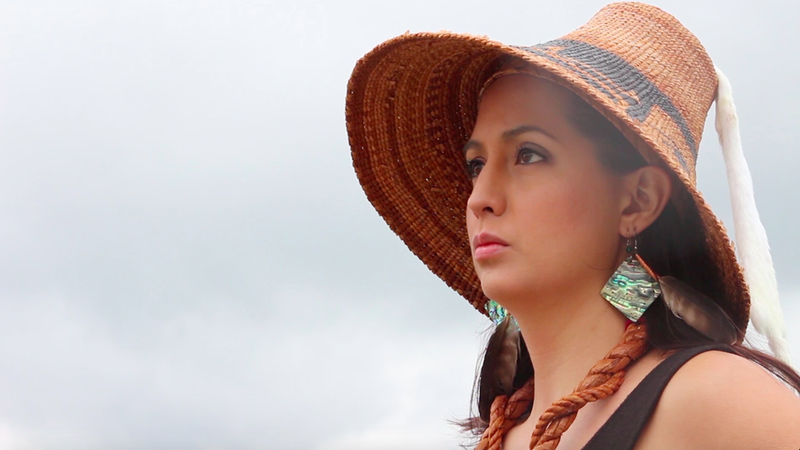 Sgaawaay K’uuna - directed by Gwaai Edenshaw and Helen Haig-Brown - makes history as the first Haida language feature film. Sgaawaay K’uuna will be preceded by the short film dukʷibəɫ swatixʷtəd (Changer’s Land), directed by Tracy Rector. Full announcement here. From September 18 to 24, Torontonians and visitors alike can explore this extraordinary vision of Indigenous futurism as the National Film Board of Canada (NFB) virtual reality work Biidaaban: First Light has its Canadian premiere in Nathan Phillips Square, in a custom-built installation featuring five individual stations with VR headsets. Our music showcase The Beat returns for imagineNATIVE 2018 with live performances by Snotty Nose Rez Kids, Silla + Rise, Chhoti Maa, and DJ Boogey the Beat! Bedtracks is the 60,000 track production music division of Soleil Sound, a Toronto based audio house supplying music and post services to all media. Founded in 2011, Bedtracks has created the soundtrack to hundreds of hours of television, documentaries, animations, advertisements and online videos. 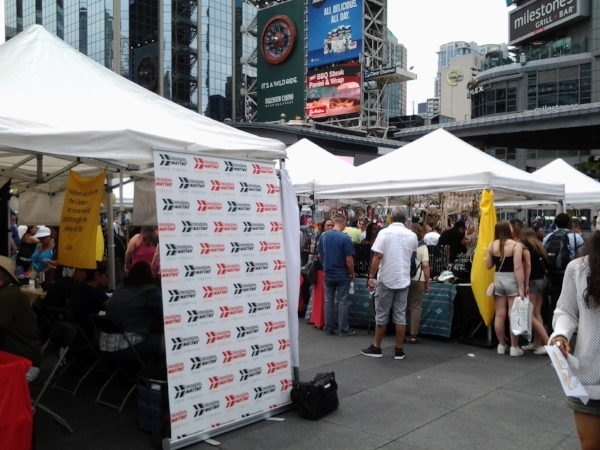 June 1, 2018 - The 19th annual imagineNATIVE Film + Media Arts Festival returns October 17-21, 2018, but imagineNATIVE is kicking off celebrations early by commemorating National Indigenous Month in June with several FREE events across Ontario. February 1, 2018 - imagineNATIVE Film + Media Arts Festival is pleased to announce the launch of its continued participation in the NATIVe – Indigenous Cinema market stand dedicated to promoting Indigenous-made films and videos at the European Film Market (EFM), February 15-23 2018 in Berlin, Germany. For the fourth year, the market stand is one of imagineNATIVE’s numerous activities at the EFM during the 68th Berlinale, one of the most prestigious film festivals in the world. The stand is an initiative enabled by the special series of the Berlinale, NATIVe – A Journey into Indigenous Cinema which is in its sixth year. Full announcement here. Congratulations to all of the recipients. For full announcement and recipient bios, click here. imagineNATIVE is currently accepting applications for a Fundraising Director. NATIVe - Indigenous Cinema Stand is now taking applications from international Indigenous producers for a tailored career development program at the largest European film market. NATIVe - Indigenous Cinema (NIC) is a special market-driven initiative during the Berlin International Film Festival (Feb 15-23, 2018) to promote, present and develop Indigenous-made feature films and to develop the professional skills and networks of associated Indigenous producers. The National Film Board of Canada and imagineNATIVE Film + Media Arts Festival announced on October 19 that the 360-degree video experience by Ahnahktsipiitaa (Colin Van Loon) is the 2017 winner of the NFB/imagineNATIVE Interactive Partnership, which aims to support new forms of Indigenous artistic expression by offering Canadian Indigenous artists an opportunity to create audacious, innovative and socially relevant new-media works. imagineNATIVE Film + Media Arts Festival is happy to announce The Air Canada Audience Choice Award, with a $1,000 cash prize presented by Air Canada, has been awarded to Kayak to Klemtu by Zoe Hopkins (Heiltsuk/Mohawk).Kayak to Klemtu, which had it's world premiere on Friday, October 20 at the TIFF Bell Lightbox, is the first feature film by Zoe Hopkins. On Sunday, October 22, 2017 at imagineNATIVE’s Awards Presentation at the TIFF Bell Lightbox, the esteemed Sun Jury and Moon Jury considered film, video, audio, and digital media works from Canadian and international Indigenous artists to select winners in over a dozen categories with over $42,500 in cash prizes and in-kind services. As the kick-off event at imagineNATIVE’s annual Industry Series this morning, the Festival announced the launch of the imagineNATIVE Institute, a new organizational department for a year-round professional development hub in their new spaces The Commons. The 18th Annual imagineNATIVE Film + Media Arts Festival will once again offer their FREE Industry Series, presented by CBC and CBC Docs, running October 19 to 21. The Industry Series brings leading professionals from around the world to teach and discuss topics relevant to Indigenous media creators. The 18th Annual imagineNATIVE Film + Media Arts Festival today announced the full programming for the Festival, running October 18-22, 2017 in Toronto, Canada. imagineNATIVE will present over 100 feature films, documentaries, shorts, and music videos created by Indigenous filmmakers with almost three quarters of the films (72%) made by Indigenous female directors. imagineNATIVE Film + Media Arts Festival is proud to announce that Cree actor, humanitarian and activist Tina Keeper will receive the 2017 August Schellenberg Award of Excellence (the "Augie"). The Augie is an annual prize that recognizes significant professional and personal achievement by an Indigenous actor, of any gender, from Turtle Island (North America). Tina Keeper will receive her award at the imagineNATIVE Film + Media Arts Festival’s Awards Presentation on Sunday, October 22 at the TIFF Bell Lightbox. imagineNATIVE Film + Media Arts Festival is thrilled to announce the film and video works that will be presented as part of the 18th Annual Festival, October 18-22, 2017 in Toronto. With multiple world, international, Canadian and North American premieres, imagineNATIVE will present over 100 feature films, documentaries, shorts, and music videos created by Indigenous filmmakers with almost three quarters of the films (72%) made by Indigenous female directors. The 18th Annual imagineNATIVE Film + Media Arts Festival is proud to announce the opening and closing galas for the Festival, running October 18-22, 2017 in Toronto, Canada. imagineNATIVE's opening night gala on Wednesday, October 18 will be Waru at the Hot Docs Ted Rogers Cinema. On Sunday, October 22, the closing night gala will be The Road Forward, a musical documentary by Métis/Dene award-winning filmmaker, Marie Clements at the TIFF Bell Lightbox. imagineNATIVE brings a new commitment to artistic expressions in audio with its first audio-centric Indigenous collaborative exchange. The Territ-Aur(i)al Imprints Exchange will gather - for the first time - five Indigenous Artists from Canada and Latin America, all versed in audio creation techniques and projects that are deeply connected, reflective and exploratory of the Indigenous cultural milieus of their home territories. magineNATIVE is pleased to announce the most recent recipients of five annual professional development commission programs: CSIF/imagineNATIVE Mentorship, CSV/imagineNATIVE Residency, LIFT/imagineNATIVE Mentorship, NBFC/imagineNATIVE Incubator Program and HGF/imagineNATIVE Story Editing Mentorship. The 2017 Hot Docs Conference kicked off with the launch of imagineNATIVE’s On Screen Protocols & Pathways: A Media Production Guide to Working with Indigenous Canadian Communities, Cultures, Concepts & Stories, a ground-breaking new initiative that will help create a blue-print for informed and collaborative media production practices with Indigenous and non-Indigenous Canadian creators and communities.